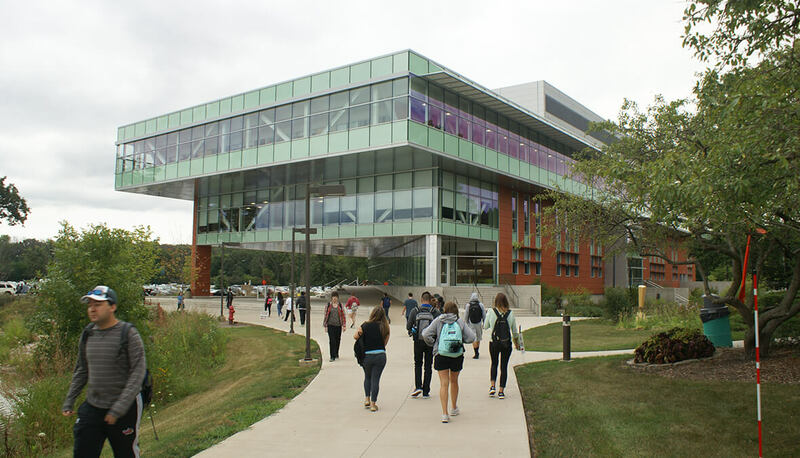 The Margaret Burke Lee Science and Health Careers Center functions as the pedestrian gateway building for Oakton Community College and serves as an example of the school’s vision for the future. 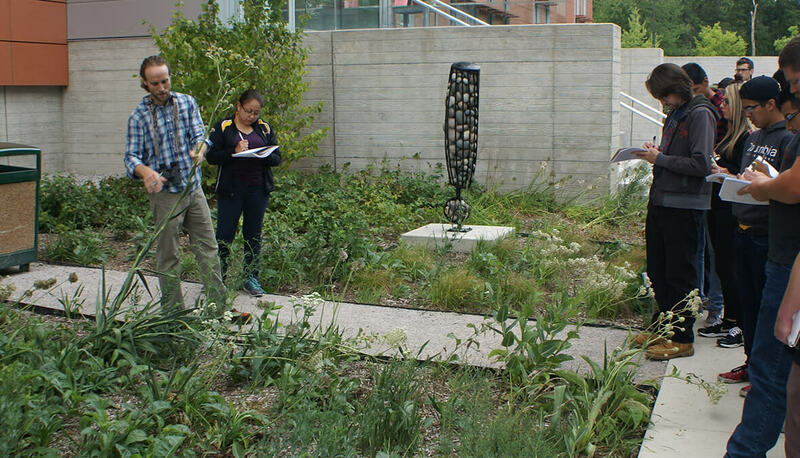 The site is located within the 100-year floodplain of the Des Plaines River which required the building’s first floor to be built 7’ above the existing grade. 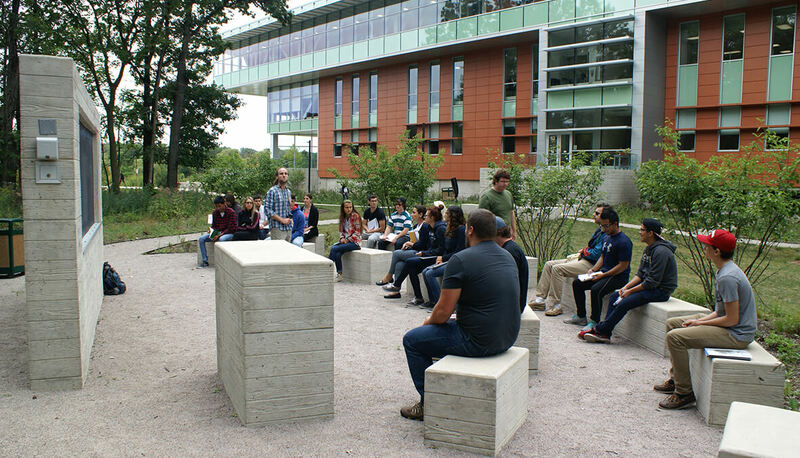 To complement this new facility, Hitchcock Design Group developed a site plan that created compelling, hospitable and accessible entries to the new gateway building and makes strong connections to the existing pedestrian system, parking and neighboring buildings while also affording users views of the adjacent woodlands and Lake Oakton. 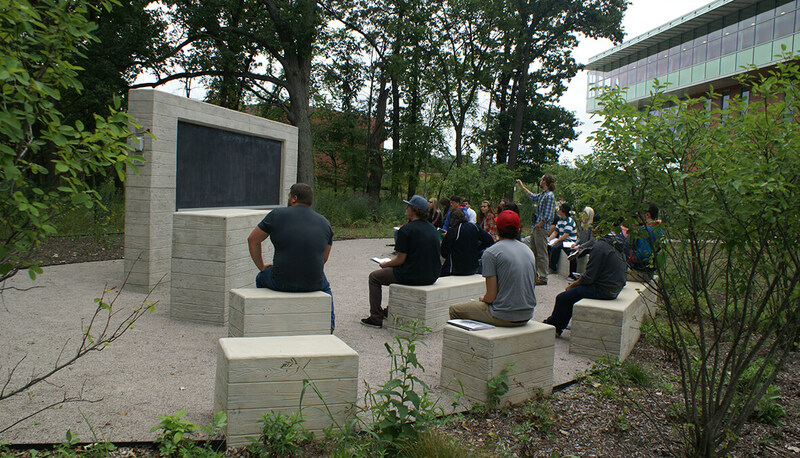 Site features include an outdoor classroom with chalkboard, power, data and Wi-Fi, permeable paving, 100% native landscape, prairie, savanna and woodland display and research plots (to be used by the Ecology Department) and large bio-infiltration areas adjacent to parking lots which helped the project receive LEED Gold designation.